In 2010, MEW watched as sea eagle pair, Fingal and Iona, raised a chick. 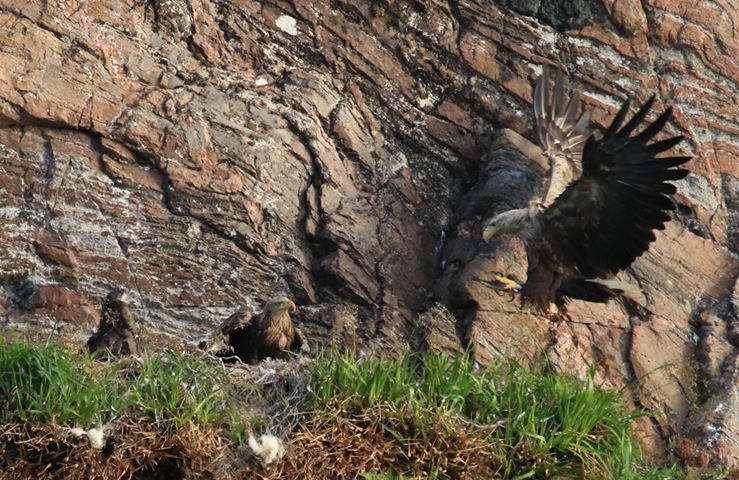 The female was named Shelly after Glen Seilisdeir, the valley in which the birds reside on the Isle of Mull. Shelly was fitted with a satellite tag which was designed to track her movements. Disappointingly, after only three years, the tag stopped transmitting on the Isle of Lewis. 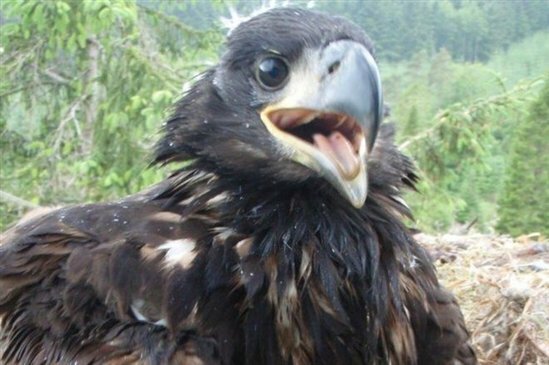 Luckily though, it was recovered with no eagle attached so it was hoped she was still alive. 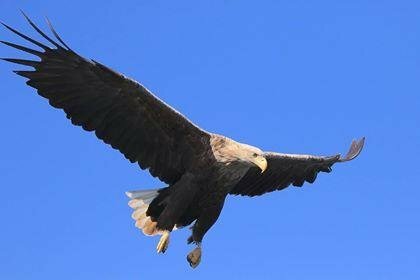 Last year, RSPB Mull Officer, Dave Sexton, received an exciting email from a birder named Iain who had been photographing eagles on a loch up in Sutherland. In one photo, the bird’s leg rings could quite clearly be read as C9 39. Heart-racing, knowing that the blue/silver colour combination of the ring was worn by birds hatched in 2010, Dave searched the database of leg rings and found it was her! He had finally found the answer to her disappearance all those years ago. As it turns out, Shelly had been breeding at this location since 2015 and had raised four chicks with her partner who was from Lewis, the Isle where Shelly had lost her tag. This Summer, Iain kindly gave us an update on Shelly and her family. She has hatched another two chicks this year and the whole family can be seen in the photo below. 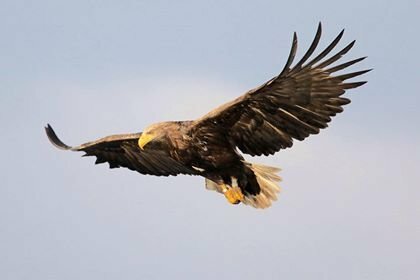 Thank you to Iain Paterson for this revelation, the update and the fantastic photos. Meanwhile, Mull's class of 2018 are getting ready to leave thier parents. Where will they end up? We are into our last week of tours this season. So for a chance to see Hope, Star and their chicks, book on a tour at West Ardhu on 01680 812556. Thanks for this post! It was really interesting to read! I guess it also will be interesting to read this website for this topic. Kind regards!